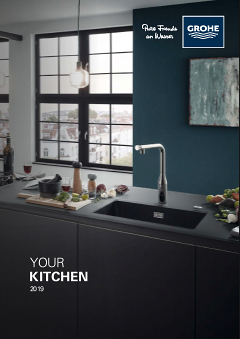 This GROHE Concetto kitchen tap is the smart solution for anyone who has a sink in front of an inward opening window. It has all the convenience and style you would expect from Concetto, but it can also be lifted out of its base and laid down in the sink. It comes with a practical medium high swivel spout offering a 140° swivel range, which provides an ideal operating area while also preventing the spout from from bumping into surrounding cupboards or walls. With its minimalist look and gleaming GROHE StarLight chrome, which is easy to clean and retains its pristine look even after years of use, this mixer will make a stunning addition to your kitchen. Thanks to our easy installation system, you'll have it mounted in no time!